On call requirements may include coverage of all new ICU/CCU/Stepdown/Telemetry until subspecialty call program fully established in late 2018. Subsequently, call responsibility will be in cardiology only. 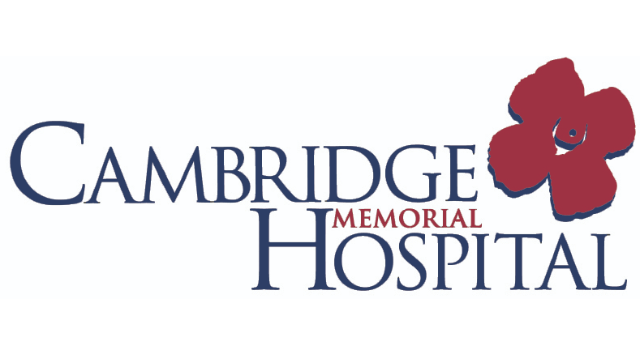 Cambridge Memorial Hospital is a 154 bed community hospital located in Southern Ontario. We are affiliated with Waterloo Campus of the Michael G. DeGroote School of Medicine, McMaster University and support academic interests. Specialist programs include: Cardiology, Respirology, Gastroenterology, Rheumatology, Hospitalist Medicine, General Surgery, Urology, OBS/GYN, Pediatrics, ENT, Oncology, Orthopedic surgery, Plastic surgery, Radiology and Psychiatry. Regional Dialysis, Radiation Oncology, Interventional Cardiology as well as Cardiac, Thoracic, Bariatric and Vascular Surgery are available within the Waterloo Wellington Local Health Integrated Network. Applications should be submitted no later than January 18, 2019 and may be addressed to Dr. Augustin Nguyen, Chief of Department of Medicine, Physician Director of Medical Programs. If you are interested in learning more about this opportunity, please email Nithya Abraham in the Medical Administration office at Cambridge Memorial Hospital.